Schools expose students to a range of possible career paths in academic medicine through specialized curricula and mentorship programs. After completing her bachelor’s degree, Louisa Holaday took a job as a compliance officer in the biological sciences division of the University of Chicago. Her job was to review research protocols submitted by physician-scientists and their research teams—and it sparked her desire not only to go to medical school, but to eventually incorporate research into her career. “I realized that academic medicine had some great opportunities for doing work that was rewarding on an individual level, but also for being able to take that knowledge and make a bigger impact by doing research,” says Holaday, MD, who is now a third-year resident at Montefiore Medical Center in the Bronx in New York City. In recent years, concern over the looming physician shortage has dominated headlines. But an equally pressing concern has been the declining numbers of physicians who choose a career in academic medicine--as researchers, educators, or medical school administrators. That’s of tremendous concern to the academic medicine community, says Ross McKinney Jr., MD, AAMC chief scientific officer, who notes that supporting the next generation of physician-researchers and -educators is critical not only for the future of medical education, but for patient care and research. “Because they care for patients, physician-researchers and physician-educators understand what patient care means, what patients need, and from that understanding comes motivation and research ideas,” he says. In 2013, an NIH study published in Perspectives on Medical Education found that medical students are more likely to pursue careers in academic medicine if they participate in research or are influenced by a mentor during their education. Several academic medical centers have designed programs to do just that. “There is always a need to encourage medical students and residents to serve as future faculty, researchers, and educators,” says John P. Sanchez, MD, assistant dean for diversity and inclusion at Rutgers New Jersey Medical School. At the University of Arizona (UA) College of Medicine - Phoenix, educators were troubled by what they viewed as a lack of awareness among students about the nuts and bolts of careers in academic medicine. To remedy the problem, university leaders designed a credit-bearing course in 2014 for fourth-year students called A Career in Academic Medicine: Institutional Commitment Towards Early Awareness for the Future Physician. The course outlines the steps to an academic medicine career, options available within an academic setting, and tips for landing an initial academic appointment. “The early awareness makes them think about decisions as they get through residency and fellowship that can best align them into the proper career choice that fits with their personality and goals and choice of lifestyle,” says Guadalupe Federico-Martinez, PhD, assistant dean for faculty affairs and development at the UA College of Medicine - Phoenix. Faculty members are currently tracking students after they complete the curriculum to determine how well the course shapes their career outcomes. The first class of students to complete the course are just starting their fellowships, Federico-Martinez says. Faculty at the Florida International University Herbert Wertheim College of Medicine also recognized the value of mentorships in helping steer students toward a career in academic medicine. 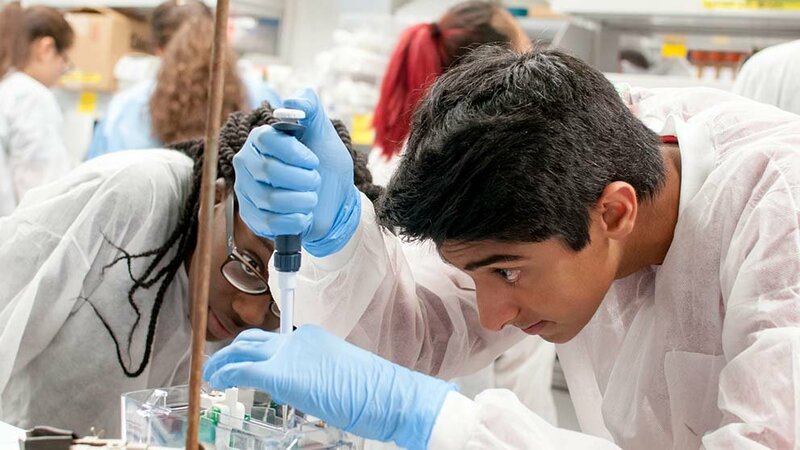 The medical school’s pipeline program—the Florida Science Training and Research Fellowship—connects undergraduate college students with program staff who follow them through medical school matriculation. Students are also assigned a research faculty mentor for an eight-week summer program at the university. “The students have often extended their relationships with the mentors well past the eight weeks by either continuing to do research once the semester resumes or just having the opportunity to [have a relationship] from afar,” says Cheryl Brewster, EdD, associate dean of diversity at Florida International University. Meanwhile, Building the Next Generation of Academic Physicians (BNGAP), a novel initiative that includes more than 20 medical schools, is increasing the number of diverse medical students who pursue careers in academic medicine. BNGAP conducts research and develops strategies to diversify the academic medicine workforce. Data show that only about 30% of faculty positions at academic medical institutions are held by women and minorities such as African Americans, Latinos, Alaskan Natives, and American Indians represent only 7% of faculty at U.S. medical schools. Research by BNGAP and partnering associations found that many diverse medical students and residents felt they had no basic knowledge about academic medicine career options, nor had they received enough exposure to such career opportunities during training. Based on the research, BNGAP leaders developed a 10-module curriculum centering on academic medicine career opportunities, which since 2015 has been implemented in 23 medical schools across the United States and Puerto Rico, Sanchez says. The modules have also been published within MedEdPORTAL.